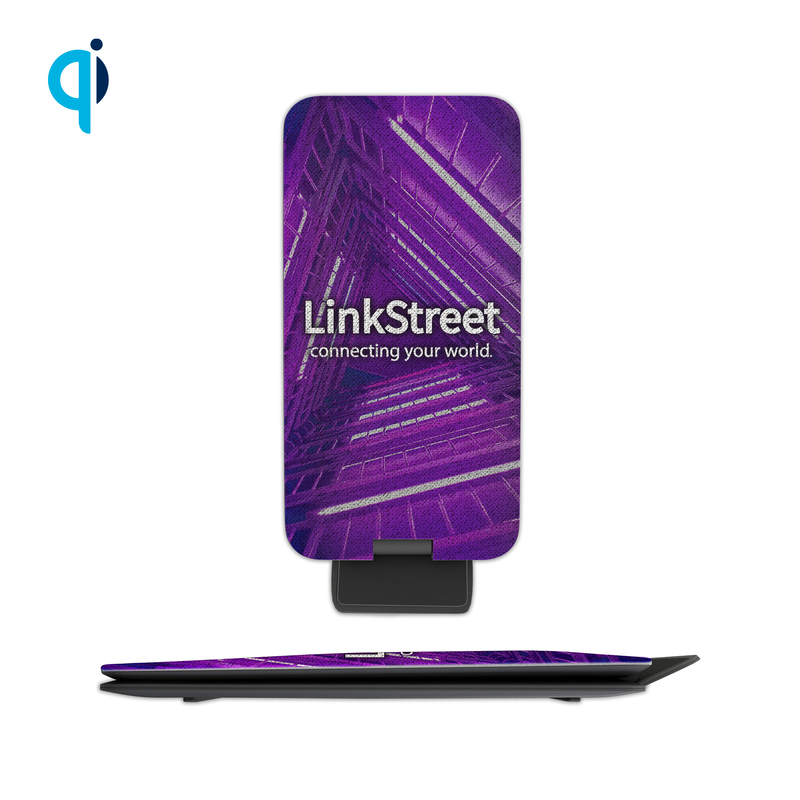 This dual coil wireless charger takes a new angle to branding, literally. 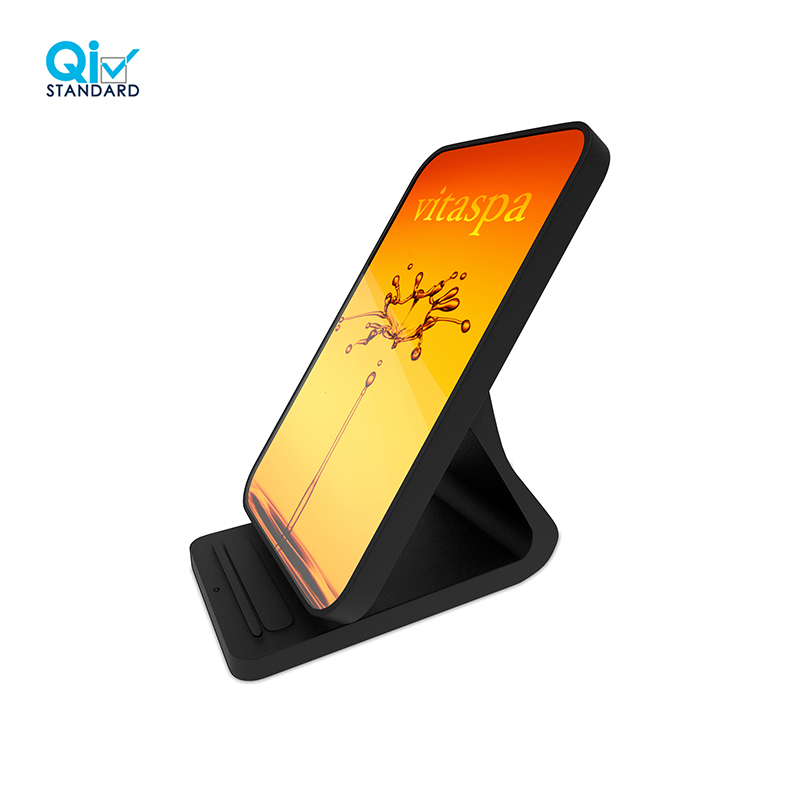 This beauty offers 5 viewing angle positions that are ideal for video calls, watching movies, or using the phone as an alarm clock at a desk or on a nightstand. 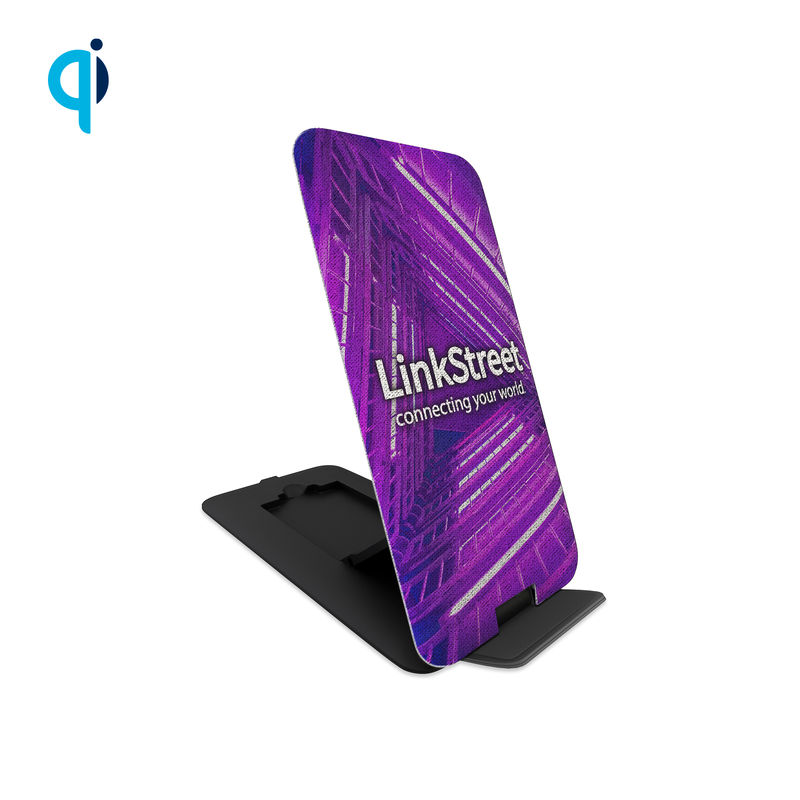 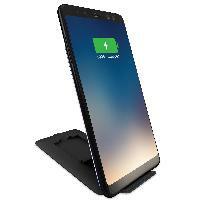 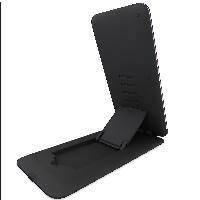 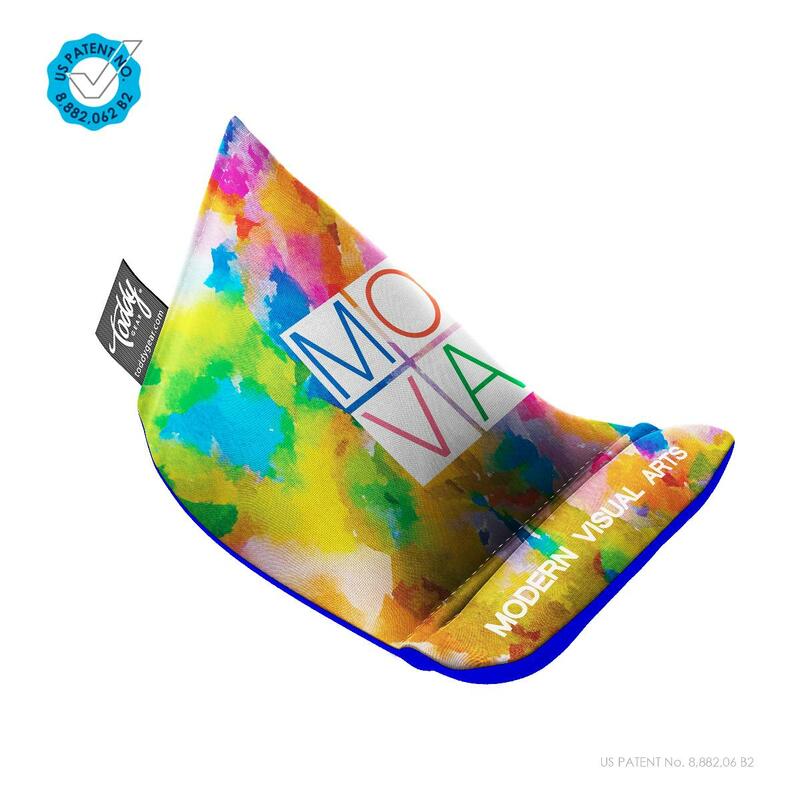 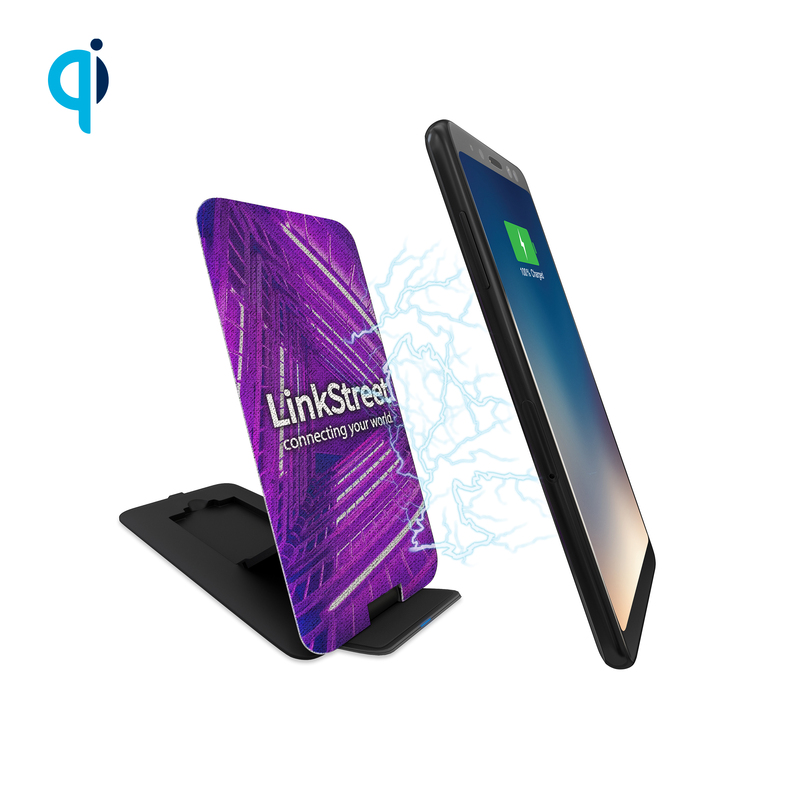 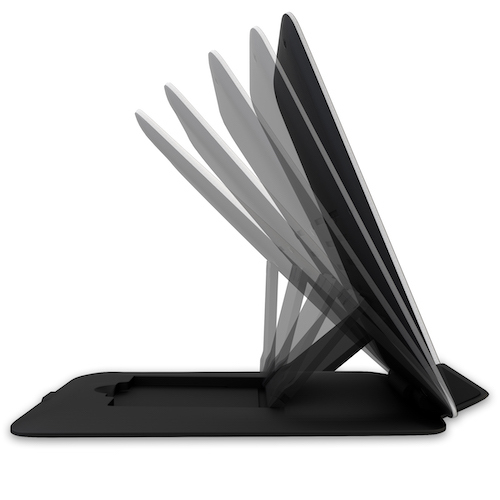 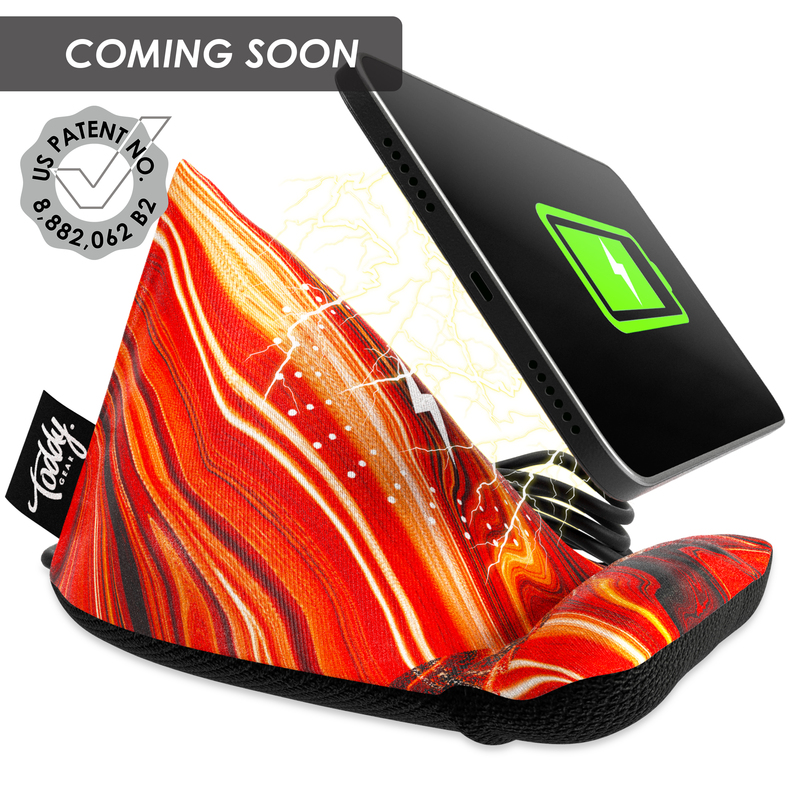 This fast charging (7.5/10W) wireless charger and phone stand offers a unique “flip” design that flips up when needed and folds flat after use all while showcasing the captivating, full-color brand imprint.